Our tribute to Michael Parks continues on August 22nd, and this particular Grindhouse Tuesday presentation is dedicated to daredevil heroes with death-defying skills, with Parks alternately providing moral support and mortal danger to these protagonists. They are also unusually linked by the colorful behind-the-scenes histories of the people responsible for getting them made! Sidewinder 1 from 1977 stars Parks as J.W. Wyatt, a motorcycle great who’s finding himself aging out of serious consideration in the racing scene. 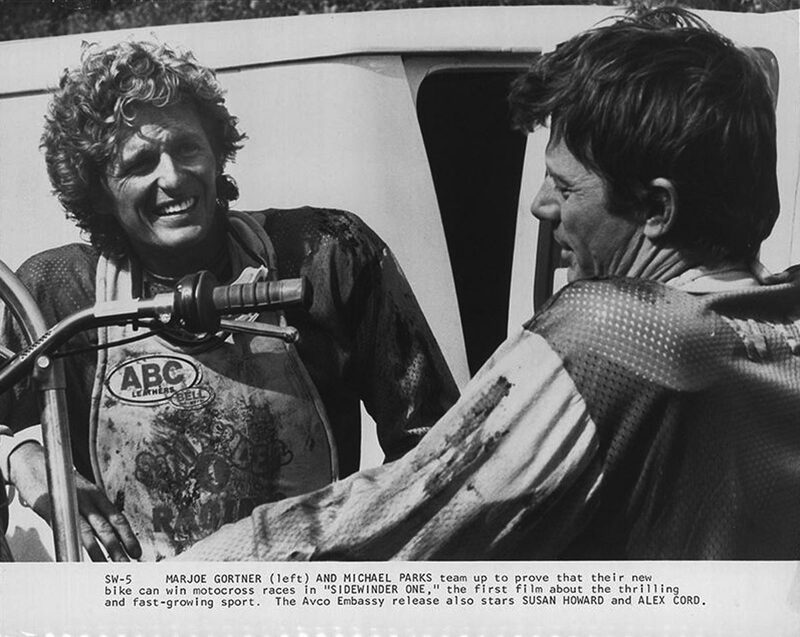 Packard Gentry (Alex Cord), a wealthy patron eager to draw attention to his protypical Sidewinder cycle, enlists Wyatt to test, customize, and promote the bike, and in turn, Wyatt brings in young and cocky Digger (Marjoe Gortner) to put it through the paces. But when Gentry unexpectedly perishes in a motocross race, his hardnosed sister Chris (Susan Howard) threatens to shut their operation down, and it will take a combination of Wyatt’s charm and Digger’s cunning to take this project and themselves to the finish line. Producer Elmo Williams first drew attention as an editor, winning an Academy Award for his work on Fred Zinneman’s High Noon, and another nomination for Disney’s 20,000 Leagues Under the Sea. He advanced to an assistant producer and second unit directing position on The Longest Day and became a full producer on The Blue Max and Tora! Tora! 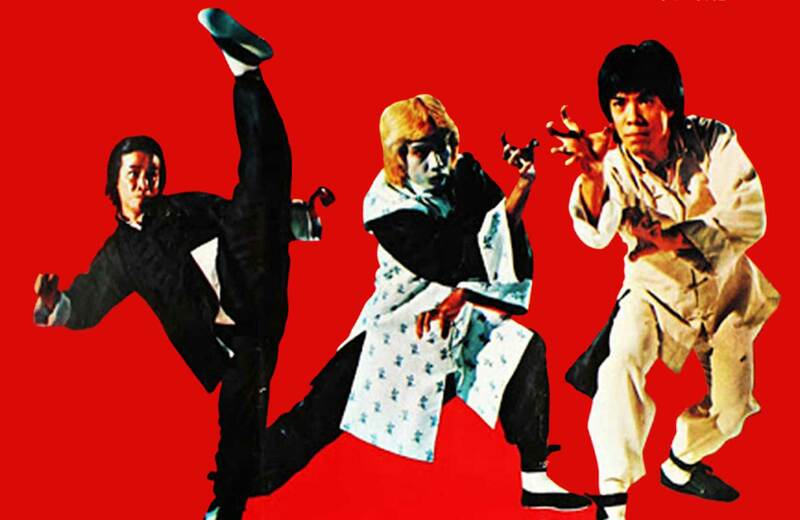 Tora!, which led to becoming Head of Production for 20th Century-Fox in 1971. Sidewinder 1 was the first of two films he produced for his own company Ibex Films, a venture he founded with Dr. Mehdi Boushehri, the brother-in-law of the last Shah of Iran, Mohammed Reza Pahlavi. Boushehri was also a silent partner on Orson Welles’ F for Fake and his long-stalled The Other Side of the Wind. Sidewinder 1 was originally to be handled by Fox, but was sold off to Avco Embassy for its wide release. Director Earl Bellamy had been an assistant director on In a Lonely Place and From Here to Eternity, but made his reputation by working on over 100 different TV shows of all kinds, from “The Lineup” in 1954 to “V” in 1985. Sidewinder 1 would be the second of three racing-themed theatrical films he would make, preceded by Sidecar Racers in 1975 with Peter Graves and followed by Speedtrap in 1978 with Joe Don Baker and Tyne Daly. We trade bikes for bulls and dirt for dust with our second feature, Bullfighter from 2000. In the days leading up to Christmas, French drifter Jacques (Olivier Martinez) has been laying low in Mexico, teaching himself to become a torero. When a playful encounter with affluent girl Laila (Domenica Cameron-Scorsese) leaves her gored to death, he flees, but her vengeful father Cordobes (Parks) quickly recruits his old associate Jones (Jared Harris) and other gunmen to go in pursuit. Hooking up with touring DJ Mary the Blaster (Michelle Forbes), the two manage to get out of town. Soon Cordobes and Jacques are both beset by hallucinations of history and prophecy as their reckoning becomes inevitable. The would-be bullfighter, always trying elude a charging, raging death, is going to discover it may be someone else’s life he has to prioritize and protect. Bullfighter was the debut film for Danish musician Rune Bendixen, whose band The Overlords, created with Scarlett Johansson’s half-brother Christian, were early proponents of electronic music. His original screenplay, created with Majken Gilmartin, drew the attention of Bottle Rocket producers Cynthia Hargrave and L.M. Kit Carson, who joined the project. Carson, who previously adapted Breathless and Paris, Texas in the ‘80s, also rewrote the screenplay with his then 21-year-old son by Karen Black, Hunter; he described its underlying theme to Filmmaker magazine as, “If you can save yourself, you can save the world.” Another electronic music pioneer, Vince Clarke, a founding member of Depeche Mode, Yaz, and Erasure, provided the score. An unusual intersection of artists, including a few writers and directors playing hooky from their day job, show up in small roles. Former New Kid on the Block and current “Blue Bloods” star Donnie Wahlberg plays one of Parks’ henchmen. Assumpta Serna, who in a fun subject matter convergence was one of the leads in Almodovar’s Matador, plays the ethereal character Ahandra. Willem Dafoe appears as a priest with a surprise for the hero. 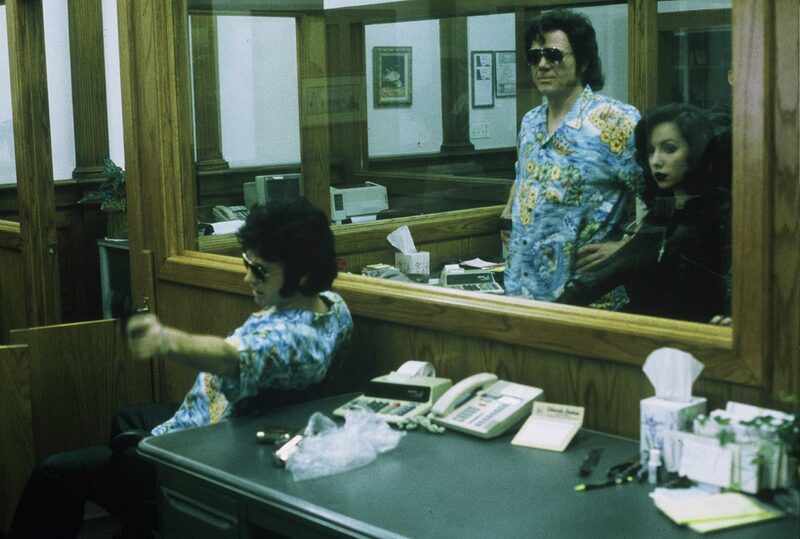 Robert Rodriguez, Guillermo Del Toro, and Bendixen himself portray hitmen. Producer/screenwriter Kit Carson, who as an actor had played the title role in Jim McBride’s David Holzman’s Diary, appears as “Country Bob.” Much of the production was shot at Alamo Village in Brackettville, Texas, where Parks previously shot his own film The Return of Josey Wales, featured earlier in our series. Spend a Grindhouse Tuesday racing with the devil, in the figurative and spiritual sense, as the New Beverly revels in the memory of the great Michael Parks. At the end of this night, everyone will be a winner!